CBS All Access drama The Good Fight, which stars Christine Baranski and Rose Leslie, has been renewed for a second season. CBS has announced that acclaimed legal drama The Good Fight has been renewed for a second season on CBS All Access. The success of The Good Fight is groundbreaking in a way, as it’s the first broadcast-budgeted drama to air on a network’s subscription service/app and garner a second season. Networks have been trying to drive consumers away from SVOD services like Netflix and Hulu and toward their own services through the use of original programming, but The Good Fight is the biggest attempt at establishing a network’s service thus far. Its critical success is proof that (shockingly) there is space in the digital world for more original scripted programming and that the digital world might be a viable alternative for shows they love that might not be sustainable in a linear broadcast environment. 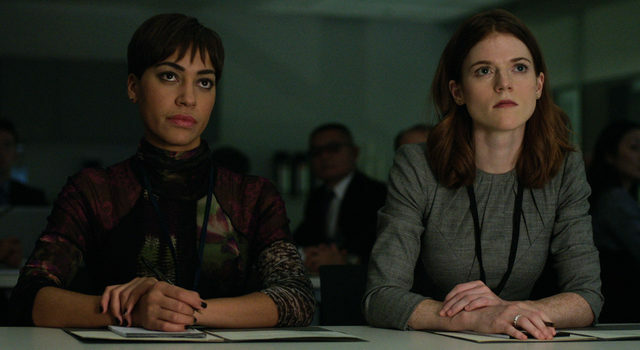 Acting as a spinoff to Emmy favorite The Good Wife, which wrapped its seven-season run last year, The Good Fight picks up a year following the events of the polarizing Good Wife finale and finds young lawyer Maia (Rose Leslie) struggling to repair her reputation after an enormous financial scam. With godmother Diane (Christine Baranski) having lost her savings and been forced out of her firm, the two join forces with Lucca (Cush Jumbo) at one of Chicago’s pre-eminent law firms. In addition to Leslie, Baranski, and Jumbo, The Good Fight stars Erica Tazel (Justified), Delroy Lindo (The Chicago Code), and Justin Bartha (The Hangover).